Buyers have changed. They have been empowered by search and the ease of technology. Yet it’s important not to mistake speed for impulsiveness. Consumers today have unprecedented access to information and can make smart, deliberate and thoughtful decisions in the blink of an eye. They no longer respond to hackneyed ad campaigns, print ads and over-the-top sales pitches. They don’t answer the phone, respond to email solicitations or clip coupons. They research articles, listen to referrals, read ratings and reviews, compare pricing and expect answers when they want them, where they want them and in every format possible. BUT WAIT: WHAT’S A HUBSPOT? Credited with coining the term ‘Inbound Marketing’ back in 2006, HubSpot is Inbound Marketing and Sales Software that helps businesses attract visitors, convert leads and close customers. 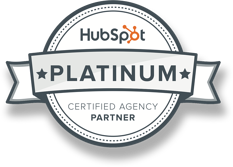 Utilizing HubSpot’s Inbound Marketing Methodology and powerful CRM platform, businesses learn how to attract customers in an organic, personal way, creating clients that can potentially turn in to genuine advocates. The days of shouting your message from a rooftop are over. More cost-effective and targeted advertising and marketing strategies mean less and less tolerance for wasteful spending. Technology has created incredibly efficient ways to speak directly to your ideal audience with little to no waste, organic traffic being the most sought-after. Inbound marketing is the philosophy of producing legitimately better websites and content to naturally put you in front of your optimal audience when they are looking for the services you provide. 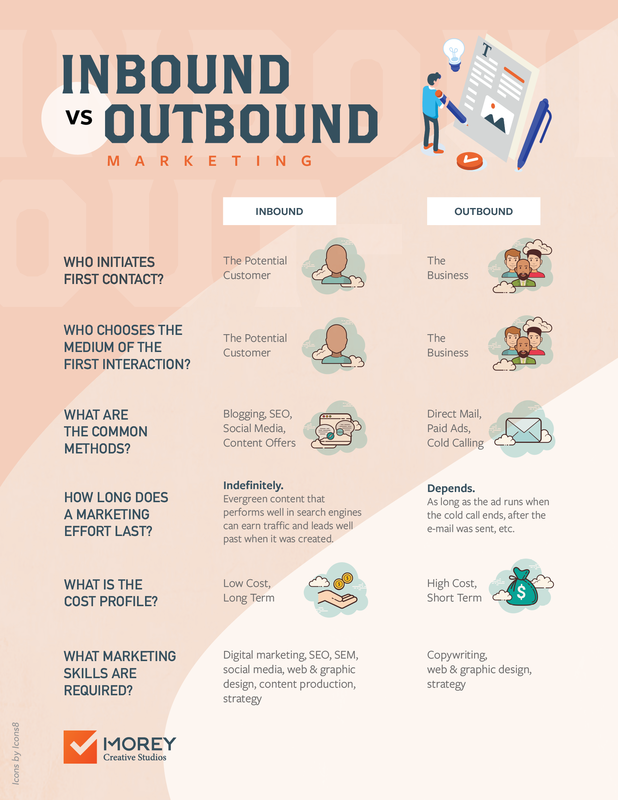 The benefits of inbound marketing are aplenty. So stop yelling, and start attracting. When we think of outbound marketing, a few tactics come to mind: cold calls, billboards, purchasing email lists, buying magazine ads, creating commercials – anything that aims to seek out the attention of potential customer’s by interrupting their daily lives. Inbound marketing is the polar opposite. It puts the needs of the potential customer first. How is this accomplished? By attracting them through thoughtful content production, search engine optimization, and social media marketing. The main principles behind inbound marketing? Help first, nurture always, “sell” never. Bring quality visitors to your site through higher search engine rankings and shared content. Offer better opportunities to engage site traffic with strategic designs and content. Turn more leads into customers with nurturing workflows and personal engagement. Transform customers into advocates by continuing to over-deliver, even after the sale. Inbound Marketing is a relatively new phenomenon in the marketing and advertising world, despite being nearly a decade old. As buyers’ habits began shifting from the physical world to the digital world, some very bright digital marketers came together to find a better way to attract consumers. Instead of pounding consumers with interrupting messages and yelling at the rain, Inbound marketers give consumers exactly what they want: ANSWERS. The concept is elegant in its simplicity and the most effective and revolutionary trend in the marketing world since the advent of search engine marketing. 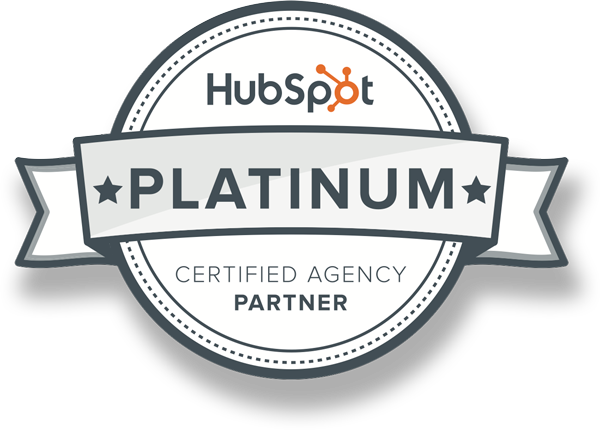 Morey Creative Studios is a Platinum Certified HubSpot Partner, a mark of distinction that reflects our training and certification in the most effective inbound lead generation services and strategies. 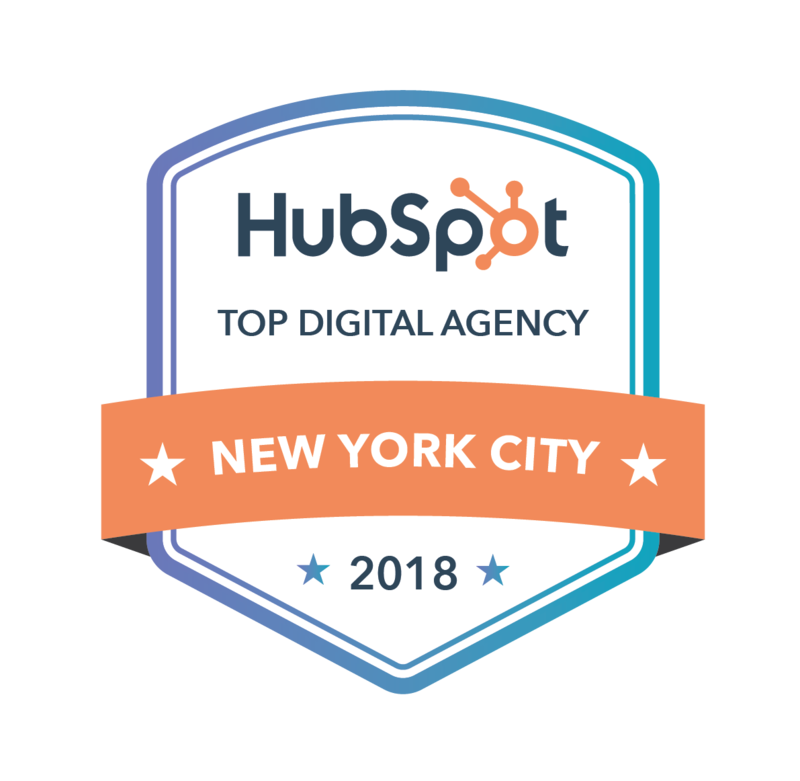 HubSpot is a cutting-edge platform that brings together all of the crucial elements of a proactive digital presence and streamlines the process to ensure the most efficient return on your marketing investment. This innovative tool coordinates your website pages, traffic monitoring, blog publishing, social media and so much more. This attracts prospective customers to your website, then helps convert them into dedicated, paying clients and advocates. 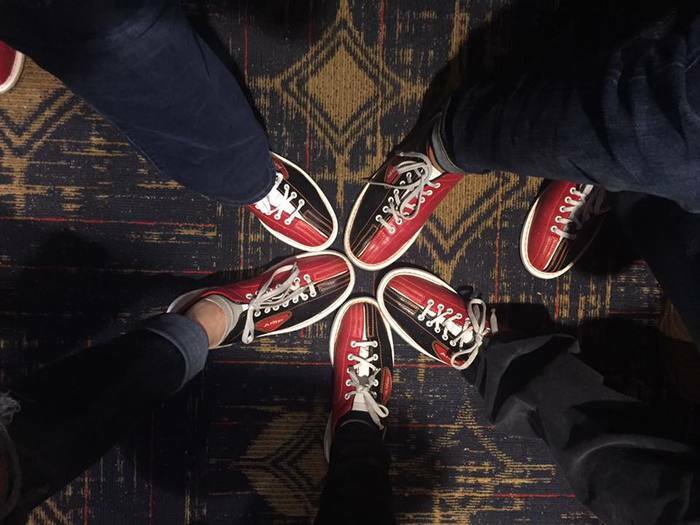 Every HubSpot client is assigned to a Hive—a supporting team dedicated to your account and your success. Each Hive consists of a strategist, website designer, editor and junior consultant. You will get to know these individuals as they deliver the services required to achieve your goals. Think of this team as your off-site/in-house design and marketing department.